Image stolen from Darryl’s FB page. Initially shy and waiting for the phone to ring, he soon discovered a simple truth: if you want gigs to happen, you’ve got to make them happen. Suffice it to say he beat the fear and has made a bunch of friends in the music scene, simply by either meeting them at shows, or picking up the phone and asking them to play shows. Over his two decades in Dunedin, he’s played with some of the city’s favourite sons and daughters, along with musicians from around New Zealand and has even toured the South Island with a couple of Australians. Darryl Baser is not what one would call a prolific releaser of music; putting out a cassette in 1995 and a 7” single in 1997. Family and work matters took a front seat to song writing, performing and recording for around a decade, which along with a significant period of writer’s block meant his singing and playing took a back seat, particularly to a 15-year stint as a music writer for the Otago Daily Times. Smart phones are gradually taking over the world and the word “Selfie” is added to the dictionary. Becoming a single person in late May, to solve his communication issues he purchases an LG Optima, and rapidly discovers it can record sound. For a laugh and a bit of self-reference records a song, then another, and another. Around that time old friend and long-time fan of New Zealand music Arno Loffler visits his second home of Dunedin, the two get talking at the Queens music venue, and the idea of recording an entire album on a smart phone was born. From a hazy recollection during a busy period the title ‘Raw Selfie’ was thrown about at the meeting at Queens. 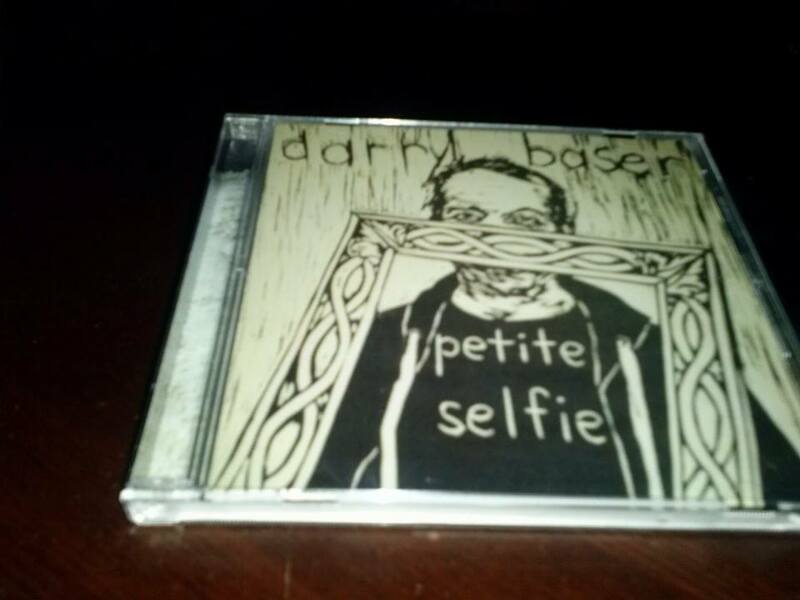 Baser says the title reflects both the modern ‘selfie’ obsessed generation who seem driven by a need to take pictures of themselves and their friends on their phones and promptly posting them online. The title track was written in late September 2013. The main core of the songs were recorded in his lounge at St Kilda, Dunedin, between June and October 2013. However, some additional songs recorded under the name Seedy were recorded at Dunedin’s Albany street studios in 2001 with noted Dunedin engineer and producer Stephen Stedman, who also engineered and mastered Raw Selfie. Artwork for Raw Selfie comes by kind permission from top New Zealand artists: Dunedin’s Ewan McDougall, and Sarah Flourish, also hailing from Dunedin. Darryl Baser approached both artists about contributing artwork, he and McDougall have been friends for a few years, offered a couple of recent works including the stunning portrait chosen. Raw Selfie is released through fledgling record label Austria’s Zelle Records, and distributed in New Zealand by independent music champions Powertool Records. Darryl is also on Facebook: look for darryl baser. and at Reverbnation https://www.reverbnation.com/darrylbaser where Darryl as become a bit of a hero lately holding top positions in the indie charts for Dunedin on a regular basis. Darryl Baser has recorded the song Wild Mountainside for Zelle‘s Robbie Burns LP, “Ae Fond Kiss“. His song Banks of the Bonnie Doon will be on our second Robbie Burns comp, My Bonie Bell.